As Computer Weekly has previously reported, it is possible to run many useful corporate tools just using Chrome browser extensions and add-ins. 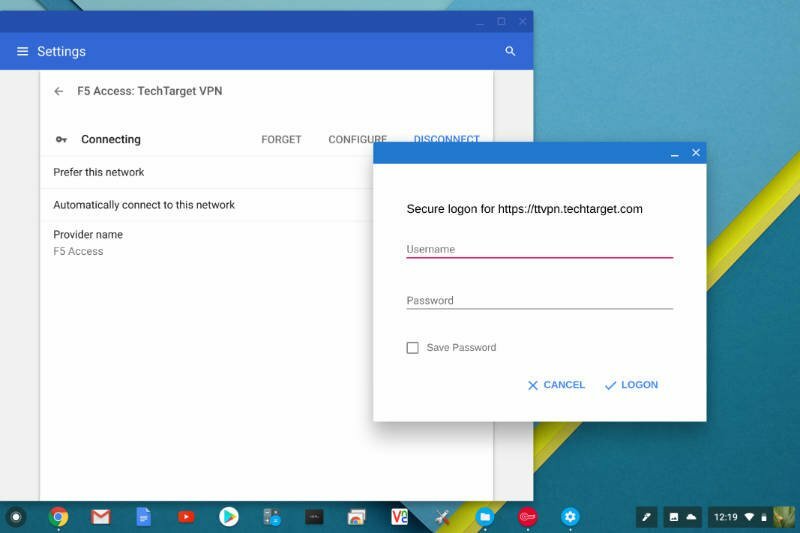 Here at Computer Weekly, we use F5 as our VPN, and logging in via the F5 Access add-in, shown in this screenshot, is much easier on the Google Pixelbook than using the F5 client on a PC. Over the last few weeks Computer Weekly has investigated how well remote access on the Pixelbook works, if access to Windows applications is needed. It works, and again it is possible using add-ins from the likes of Citrix, VMware and VNC. It is even possible to run a fat client application like Adobe Photoshop CS6 remotely, with the user interface streamed to the Pixelbook. But there are a number of excellent photo editors freely available in the Chrome Store. Polarr was the one used to resize and tweak the images in this article. Similarly Office 365 online works remarkably well on the Google Pixelbook, but thanks to seamless offline file synchronisation on Chromebook devices, Google Docs has the upper hand. As for email, Outlook Web Access provides access via a browser to Microsoft Exchange, and so works quite well in Chrome on the Pixelbook. Computer Weekly can also report that cloud-based services Box and Dropbox also behave very well on the Pixelbook. We found Google Docs and Microsoft Office integration in Box particularly useful for editing and sharing documents. It is also worth noting that Google has now made it possible to download a Google Docs in Microsoft Office format, which means documents can be shared with those people in the organisation using Microsoft Office or to send Word, Excel or PowerPoint attachments via email.